Fateh-110 ballistic missile strike reveals a dangerous new level of precision. 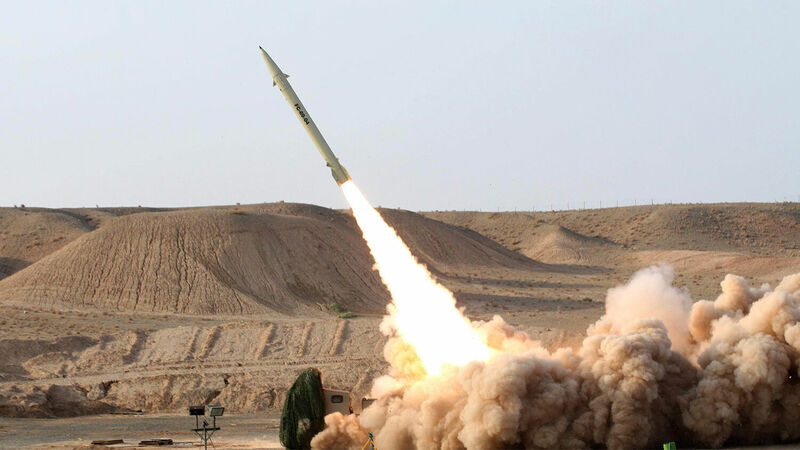 On September 9, Iran fired seven Fateh-110 ballistic missiles at Koya, Iraq, in an attack on Kurdish opposition leaders. One missile struck the building where many Kurdish leaders were meeting, killing 17 and injuring many others. Iranian state media reporters were invited days in advance to watch the daylight launch. The attack against the terrorists in Iraq’s Kurdistan conveys a message to the enemies, particularly those superpowers who think they can impose their evil plots on Iran and bully us. All those who have forces, bases and equipment within 2,000-kilometer (1,200-mile) radius should know that our missiles are highly precise. Iran has been using the Fateh-110 for many years, but the model has recently been upgraded and is now much more accurate in its targeting. Iran is proving to be a missile threat throughout the region. It has also supplied its proxies with the Fateh-110. In Lebanon, Hezbollah used this Iranian missile in the 2014 war. In Yemen, Iranian-backed Houthis launched the Fateh-110 at Riyadh, Saudi Arabia, 560 miles away. Now that Iran has improved this missile’s accuracy and field tested it on the Kurds, it might be willing and able to retrofit the missiles it gave Hezbollah and the Houthis, or it might provide new ones. Although Iran has primarily used this missile against land targets, it is designed to strike seaborne targets. When the Fateh-110 was first introduced, Iran played a propaganda video depicting it striking a simulated United States warship. The Fateh-110 has been retrofitted with “active seeker” technology to better detect ships at sea. In mid-August, Iran test-fired one of these missiles against a ship. The strike at Koya and the August test show that the Fateh-110 is now a precision missile, capable of striking the intended target within at least 180 miles. Both the Strait of Hormuz and the Bab el-Mandeb strait are choke points for world shipping. Thirty percent of seaborne oil passes through the Strait of Hormuz, which is only 33 miles wide, and most of that shipping continues through the 20-mile-wide Bab el-Mandeb en route to Europe via the Mediterranean Sea. Controlling these sea-gates means controlling the passage of the precious commodity into Europe. This July, Iran claimed responsibility for a Houthi attack on a Saudi oil tanker in the Bab el-Mandeb. Right now Iran is advancing its means of shutting down the maritime routes that Europe relies upon. Upgrades to the Fateh-110 may seem small, but combined with Iran’s renewed interest in the Bab el-Mandeb, Yemen, the Strait of Hormuz and the Persian Gulf, the world ought to take note. Eventually, Iran is going to push Europe to the breaking point, and Europe will respond with everything it has. When Iran decides to use force, including this missile, to constrict or block the Bab el-Mandeb and the Strait of Hormuz, Europe will be forced to act. Europe will attack in full force, and it will destroy this Iranian-led radical Islamic confederation. These events begin the countdown to the coming of the Messiah (Daniel 12:11). When He comes, He will put down all tyrannical rule, put an end to all war, and usher in a time of peace that the world has never seen before. To learn more about the prophesied “king of the south” and these soon-coming future events, please request Trumpet editor in chief Gerald Flurry’s free booklet The King of the South.